In general there are two areas of SEO: On-Page and Off-Page. When we refer to a “page”, we are of course talking about your site. This is why some SEOs call it On-Site and Off-Site. 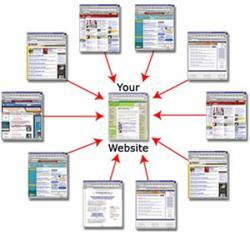 These are all the areas you can optimize on each individual page of your site. Essentially we are talking about Content, Code, and Site Architecture. Content is the easiest to discuss since we are all familiar with a site’s content. For this instance, we are really referring to the text that you read on each page. Is the content high quality? Is it well written? Is it engaging to readers? Is content making use of keywords that you want to rank for in a search engine? Be careful not to stuff the content full of keywords. A simple test is to read your content out loud. Does it sound like your trying to rank for a specific keyword? If it does rewrite it. Some HTML code on each page of your site can be optimized around your chosen keywords. Specifically, we’re talking about Titles, Image Alt tags, and Headers. Like the content of you site, be very careful not to keyword stuff these areas. Last but not least is the architecture of your site. Can search engines easily access your site? Make sure that your URLs incorporate important keywords that relate directly to the content on the page, and that your page’s aren’t slow to load. In general, one has less control over these items, but there are many indications that these are even more heavily weighted by search engines than on-page optimizations. Links to your site from other sites are important parts of off-page SEO. You want links from quality websites. In a way, Links are like votes for your website. Having lots of links from many different sites is good. It goes without saying, that you should never buy links. The most recent Google updates no longer see bought links as providing a trustworthy vote for your website. While the verdict is still out on how much social shares contribute to ranking, they are definitely an avenue for getting your site out there in front of people. They can contribute to acquiring more links, which is always a good thing. All of these are great starting points for anyone to learn more about SEO, or to at least understand some basic terminology when talking to the SEO geek in your life.